Spread out over 12 acres and offering some of the best views in the five boroughs, Gantry Plaza State Park is easily accessible by LIRR, the 7 train as well as the East River Ferry. If you head west on 50th Ave (from the 7 train), you’ll run right into the park, where putting your camera down will be a real challenge. Amazing shots of Roosevelt Island, Midtown Manhattan, as well as the Ed Koch Queensboro Bridge will have you snapping in every direction. The iconic “Pepsi-Cola” and “Long Island” signs, which you can see from Manhattan (especially Roosevelt Island), areÂ there too. If you continue north, you’ll reach the 11th Street Basin. Just east of there is the Long Island City Flea & Food, which operates from 11-6 on weekends (April to October). Paraguay is landlocked between Argentina, Bolivia and Brazil and the food at I Love Paraguay reflects this: a lot of meat and no fish or seafood. Most dishes are baked. The head chef (and owner) is from Asuncion and most of the staff are Paraguayan as well. While some of the dishes will be recognizable to Italians (there’s pasta and fresh mozzarella on the menu) and other Latin Americans, there are some items that the staff swear are relatively unknown outside of the motherland. Sopa Paraguaya is a salty corn-based cake. There’s a post on their blog about its possible origins. Marinera (no relation to the tomato sauce) is a thin steak covered in a Paraguayan tortilla and deep fried. The Pollo I Love Paraguay is a chef’s special: grilled chicken strips and curry (a term generally associated with Southeast Asian cooking). For dessert, try the dulce de mammon casero! Fun fact: Paraguay has two official languages: Spanish and Guariani. While Brazil and Argentina are the largest and arguably most carnivorous nations in South America, tiny Uruguay is tucked in between. They eat a lot of meat too. Remember Anthony Bourdain’s trip there, where he explored this little-known country where some of his ancestors emigrated to? Well in addition to meat, La Gran Uruguaya has excellent seafood as well as an Uruguayan bakery (in the same building). Dulce de Leche is Argentina and Uruguay’s sweetest export and there’s plenty of it in their desserts. The bakery has interesting takes on traditional European desserts, many including dulce de leche of course. Their staff is mostly made of people from the motherland, who are happy to offer suggestions. For the most authentic Uruguayan experience, try Parrillada Para or Bandeja Charrua (Uruguayan Platter) for your entree and chajÃ¡ for dessert. Chaja is made up of peaches and cream, caramel and merengue, and from the outside looks like a cross between a popcorn ball and a pile of whipped cream. While many jazz musicians died in debt after making millions of dollars, Louis Armstrong was not among them. He could have lived anywhere, but chose the working class neighborhood of Corona (where his wife was from). Armstrong and his wife bought the house after getting married in 1943 and lived there until he died in 1971. Fortunately, you could still see his house which is more than 100 years old and now a museum. The only thing he did to make his house stand out was demolish the one next door so he could have a yard. Bummer alert: no photography inside the house. This is the place from the opening segment of The King of Queens. The Lemon Ice King of Corona is open all year round and has more than 30 flavors. They don’t mix, so get small cups if you want to sample the different flavors. While you’re eating your Italian ice, you can watch the bocce ball games going on at William F. Moore Park in much the same way they’ve been going on since The Lemon Ice King of Corona opened its doors more than 60 years ago. Flushing Meadows-Corona Park is the fourth largest park in New York City. Museums, nature, sports and the Queens Zoo are all packed into this nearly 900-acre park. Both the New York State Pavilion and Unisphere can be seen from the Grand Central Parkway. Anyone remember Men in Black? The big globe is the Unisphere! Also inside this massive park are The New York Hall of Science, Queens Museum, and Queens Theatre. For sports fans, there’s the Billie Jean King National Tennis Center and the New York Mets play at Citi Field (formerly Shea Stadium). Nature lovers can rent kayaks or paddleboats by the hour at Meadow Lake. There are also different types of bicycles for rent at the same location. In the warmer months, there’s the Queens International Night Market which opens at 6PM on Saturday nights. Can’t find a Chilean restaurant in NYC? You can always eat some of their street food at the night market! If you’re bored with the Chinese restaurants that seem to be on every other block and all look the same, head to the night market for some Taiwanese fast food! There are a plethora of Asian restaurants in Flushing, but if you want to see the different types of Asian food that Flushing has to offer on one floor, head to the New World Mall. Although the Chinatown in Flushing is not as crowded as the one in Manhattan, the food court as the New World Mall is. While there are some standard Korean and Japanese options, most of the vendors specialize in food from different regions of China. There are excellent dessert options as well. Fun fact: “The New World” is an X song that Pearl Jam sometimes plays live! Interested in other NYC tours? I just arrived in NYC and I’ll be here for a few months so this is perfect and so handy!!! I am really looking forward to exploring Queens – particularly all the delicious food you have listed!! Love it! Makes me hungry and want to hop on the 7. I used to live on Long Island and ventured in to Queens to eat and connect with friends. Loved this post so much and those photos! Wow. Thanks for sharing. Yes, your name is so catchy, ACAJUNINCALI! I’m partial to California, but have been to NOLA & Venice, Louisiana. At the Armstrong house, they talk about how difficult his childhood was in NOLA. 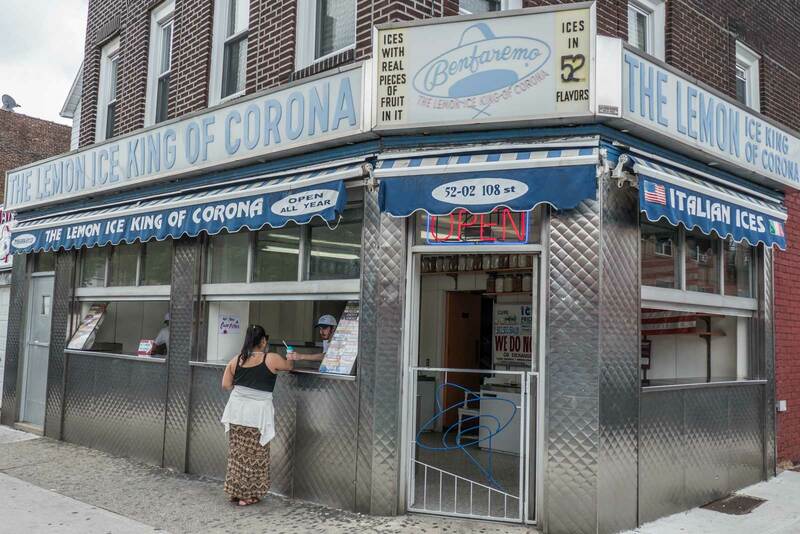 Lara, I’ve been to The Lemon Ice King of Corona several times, but never got the lemon ice! Maybe next time…. I’ve only been to NYC once, and just for a few days. We spent the whole time in Manhattan. I would love to spend some time in the other boroughs. Wow, I love the sound of these places! We will be headed back to Ohio to see my family for a month later this year and would love to take a trip to NYC and check out all these places! Thanks for sharing! I especially want to check out I love Paraguay! Thank you for taking me to a pitstop of cultural delights: from the lemon ice king to I love Paraguay it all sounds like a lot of fun! I like all the photos. they are amazing. I personally loved the park, the mall, the restaurant and the waterside. those are some of my fav places in general. The food at I Love Paraguay seems like it’s to die for! I can’t say I’ve tried much Latin American food as in my town we only really have Mexican and Brazilian restaurants, but I am fascinated by the food culture in the surrounding countries. I’ll have to make a stop the next time I’m in NYC! This is such a neat article. I love to explore regular neighborhoods and their little hidden gems, when I visit a city. You get much more of a feel of how living in that city is for locals, than if you hit just the main tourist attractions. These all sound really nice. I’d definitely have to check out the Lemon Ice King of Corona! What a great list. I love these types of posts that get you out of the typical tourist attractions and into the heart of what makes NYC great. I am a self proclaimed foodie and it’s always awesome to be able to taste food that represents a different country every time I go out. It’s so good to know that there are places nearby that offer that experience! I really appreciate this list! Looks like a pretty great route!! Thanks for the list and ideas! These photos are breath taking!! Such a gorgeous area! You found great gems here, dear. Would love to explore this as well, especially the Louis Armstrong Museum and do a food trip. Yay! This looks great, especially the Lemon Ice! I’ve never been to america but it’s on my bucket list! I got confused a bit. All the places above are in NYC? Each place had something unique to show and offer! The desserts at “82 ST-JACKSON HEIGHTS: LA GRAN URUGUAYA” looks good. All of the places are along the 7 train in the NYC borough of Queens. Looks like a nice trip to have. Thanks for sharing! I enjoy reading about tours with a focus on a particular train line. The Queens Line is one of my favorites in New York as it leads to so many good Filipino restaurants. Now, I can add more food destinations to the list. I’m a lifelong New Yorker and this was very interesting for me to read about. I live and work in Manhattan and I usually only get to Queens once a year! I know I’m missing out on some interesting food. I would especially like to try the Sopa Paraguaya or the chaja dessert. Thanks for sharing! I wish I’d seen some of these recommendations before I moved away from Queens. I’m very curious to try the Paraguayan food. I’ve never seen or heard of a restaurant offering it before! Erika, it was my 1st time as well. Makes me want to go for the food!! 🙂 Great post! What a great post! I haven’t spent any time in queens but plan to visit this fall. Now I have a great list of things to keep me occupied while there! This is a fascinating tour which blends sight seeing, food and the cultures associated with the food/restaurants. I would definitely like to check this out when in NY. 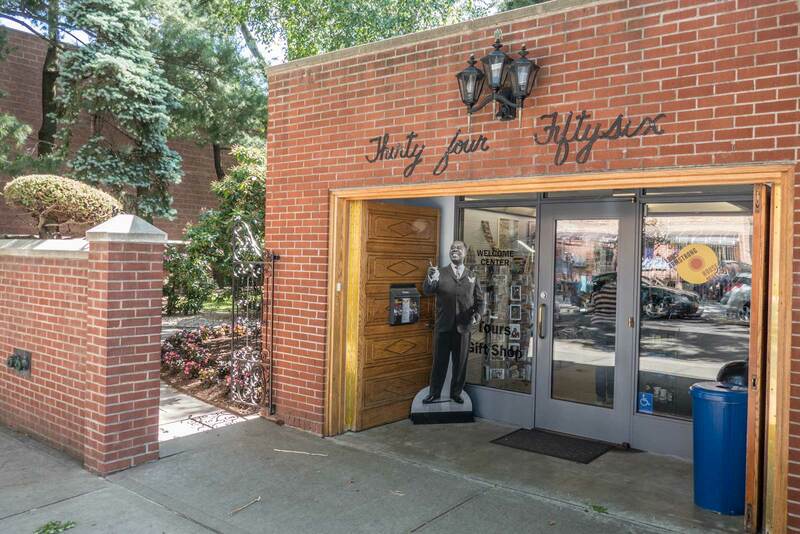 I’ve never been to Queens so perhaps it’s high time I do 🙂 You surely got my attention with the Louis Armstrong Museum – didn’t even know there is one! interesting article, I don’t really know much about NYC, so this has enlightened me a bit. Thanks! Those are all cool places! There are so many choices I don’t know what to do first. Such an awesome write up! I’ll be in NY next month and I’m excited to see some of these awesome spots! What a great guide! I only took the train once in NYC but this makes me want to go again! Okay, seriously, I want your life! One of our favourite things to do when we travel is to eat local and your stunning photos are making both my stomach and my mind grumble, just for different reasons. What a fabulous way to get it all in one trip. Thanks Tania. I’m flattered! If you could explore along the 7 train, but only eat at one of the places, which would it be? Do not make me choose one! La Gran Uruguaya and Chinese, I’d have to wait until I was hungry again. Oh i want to hit up ALL of those places… especially the new world mall! haha 🙂 sounds relish! Would love to visit NYC the food and culture looks amazing! Wish I came across this when I was in NYC, was like a lost puppy lol! Beautiful park. The food is making me hungry now. My first trip to NY last year and I was lucky enough to stay in Queens love the #7 journey. I love train journeys and haven’t had a chance to experience them in North America yet so this will be handy when we get there! I love exploring NYC! I’m definitely going to revisit this post before my next trip. I’d love to visit some of the attractions you mentioned- the Louis Armstrong House (I agree- bummed that no interior photos are permitted) and as a fan of the King of Queens, I feel that I simply can not pass up the Italian Ice at Lemon Ice King of Corona. Thanks for opening my eyes to all that Queens offers!